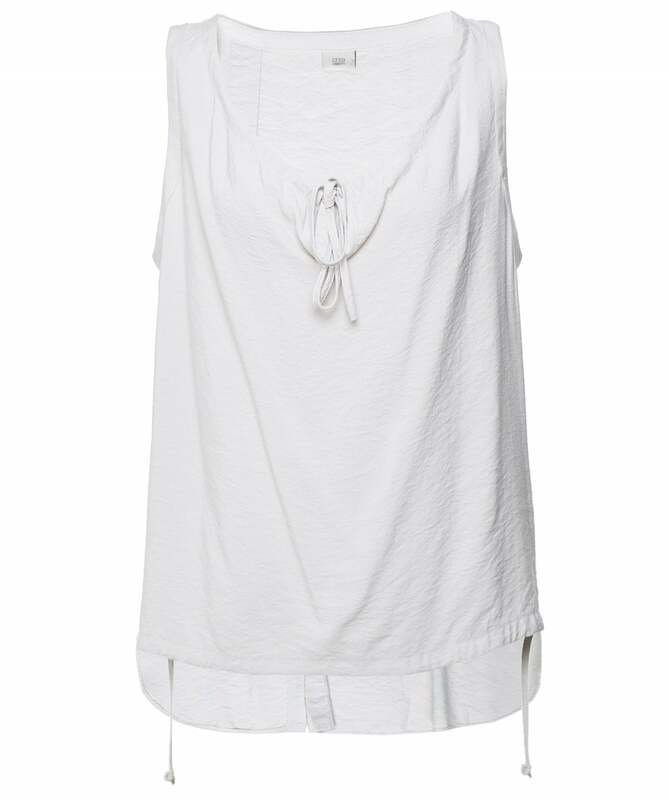 Achieve a relaxed look this season with the Crea Concept drawstring vest top. Crafted from a lightweight and airy fabric, this boxy vest features a drawstring V neckline and front hem, off-centre back seam and split and a dropped hem offering a charming contemporary finish. Style your Crea Concept vest with cropped trousers and sandals for a laid-back everyday look.